Detail from a rare 1885 map showing vice in San Francisco’s Chinatown. Vice includes gambling (dark orange), Chinese prostitution (green), opium houses (yellow), Joss Houses (red) and White prostitution (blue). The map, from the Rumsey Map Collection, is an early example of detailed urban social mapping, in this case motivated by strong anti-Chinese sentiment. Click on the map (above) for more details from Historian Susan Schulten’s blog Mapping the Nation. 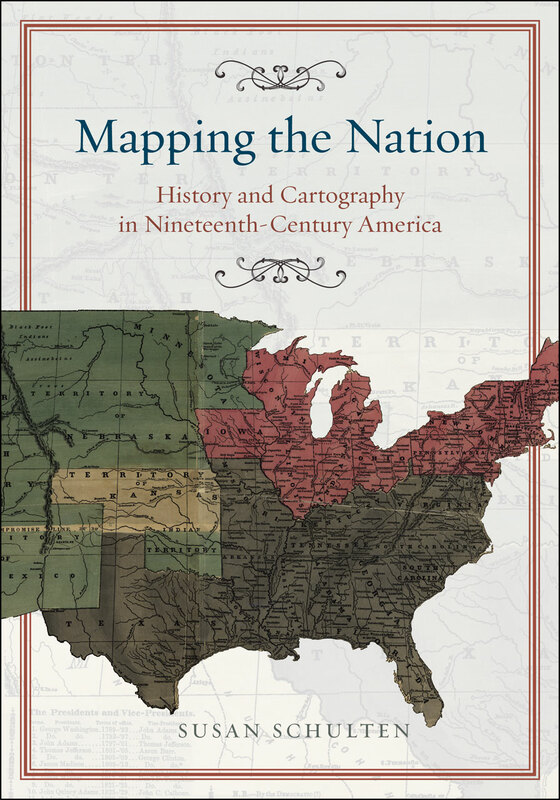 Schulten’s blog and website for her terrific book Mapping the Nation: History and Cartography in Nineteenth-Century America contain a wealth of maps and graphics. The book itself looks at the pivotal 19th century – when mapping expanded to include a diversity of human, social, cultural, political and environmental phenomena. Selected details of maps from the blog are below: click on the title or image to see the entire map.